Distribution, Wholesale & Manufacture. We do what we say, when we say “it will be done”. 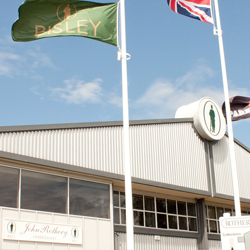 John Rothery Wholesale is now in its 45th year of growth and reinvestment. We are proud of our reputation, structure and technical abilities. However, our greatest and most valued assets are the people who made us “Supplier of the Year” through the competition’s history in Tackle and Guns. We deal strictly with the trade only. We distribute, wholesale and manufacture many of the best shooting and country brands in the business.